A beautiful combination of Turkish and Greek culture, Cyprus is not only a blend of nationalities but a blend of landscapes too. On this holiday you’ll experience the gorgeous coastal areas as well as the mountainous and lush green interior of this Mediterranean island. 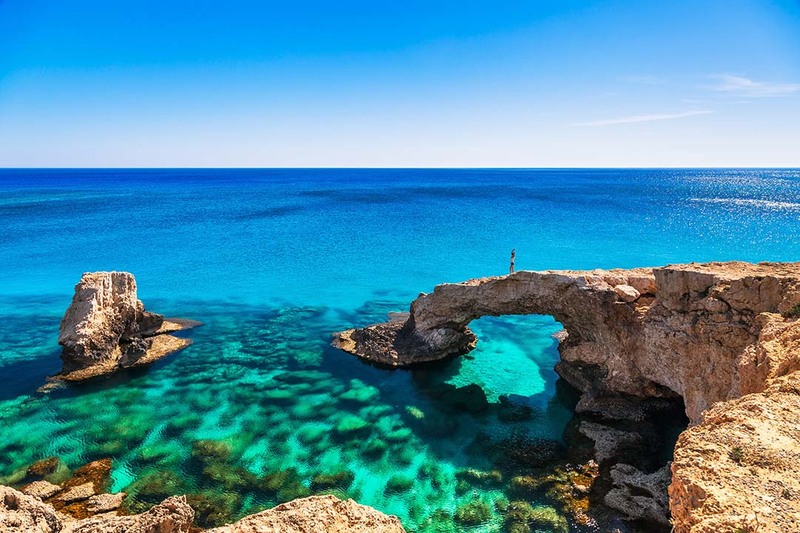 Our aim is to relax – and there are plenty of beaches to do just that – but there are also a couple of exploration days where absorbing Cyprus’ nature and history are on the cards. Today we shall depart for our flight to Paphos in Cyprus. When we’ve landed and collected our luggage we’ll get our private transfer to the Queen’s Bay Hotel in Kissonerga. Spend Sunday as Sundays are meant to be spent – on the beach. After the journey yesterday, take this time to relax in the sun or enjoy some time by the hotel’s pool. As the hotel is in a seafront location, you don’t have to far to go if you want to enjoy the sand between your toes. The hotel also has excellent facilities, so you can go snorkelling, play tennis, enjoy mini golf, relax in the garden, or even enjoy a massage in the hotel’s spa. Breakfast and dinner included. Overnight in Kissonerga. 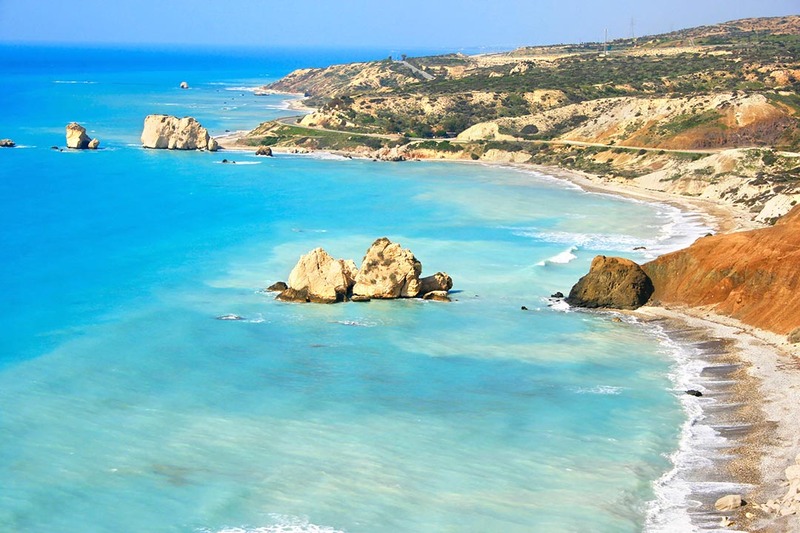 Today we’re going on an adventure to the Akamas Peninsula on Cyprus’ west coast. We’ll journey through Akamas on a jeep safari so hold on tight as this is going to be a fun ride! Our stops will include Avakas Gorge where we’ll find rare plants and flowers; Lara Bay, one of Cyprus’ most deserted beaches and which is also a breeding ground for Green Turtle’s and Hawk’s Bill Turtles; the Baths of Aphrodite which are said to give you eternal youth if you bathe in the water. On our return back to the hotel, we’ll be able to refresh before our dinner together this evening. It’s another free day on your Cyprus holiday so take advantage and soak in the warmth of Cyprus’ sun. If you want to explore a little, it’s easy enough to head in to Paphos for the day via taxi or bus. 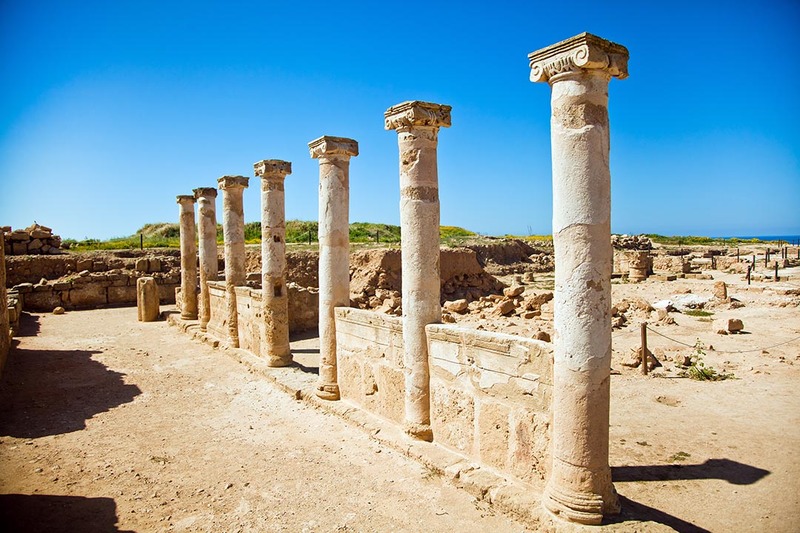 Here you’ll find Paphos Fort – a fully protected UNESCO World Heritage Site – The Tomb of Kings, enjoy a drink by Paphos Harbour, or you could even visit the “Cat Village” at Tala Monastrey Cat Park where hundreds of cats wander around, vying for your attention! In the evening, if you wish to do so, we’ll board a sunset cruise where we can enjoy the last of the evening light. This is optional so do let us know if you want to join in, it’s expected to be a beautiful way to end the day. Today we take some more time to wind down from our busy lives. If you haven’t visited the beach yet and had a paddle in the ocean water, give it a go! After all, the hotel is right on the coastline! 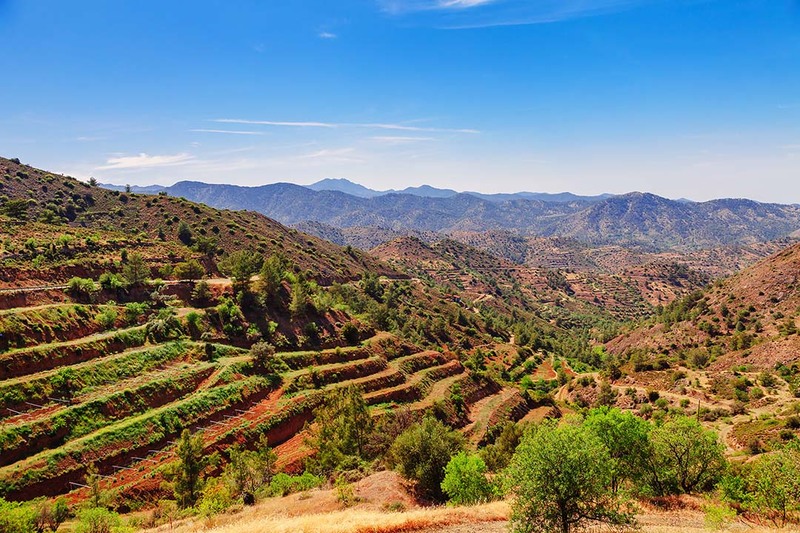 Day 6: Discover Troodos and Kykkos or take another day to relax. If relaxing in the sun is your thing, then you’re welcome to spend the day at your leisure. If you want to get out and visit some more of Cyprus, then our optional tour today is a visit to Troodos and Kykkos. On this trip a coach will take you to Mount Olympus, the highest point in Cyprus. We’ll also stop at Kykkos Monastery, Omodos Wine Village, Pafos Forest and Chrysorroyiastissa Monastery for a full day of history, culture and nature. Day 7: Day Trip To Limassol, Nicosia and Larnaca. 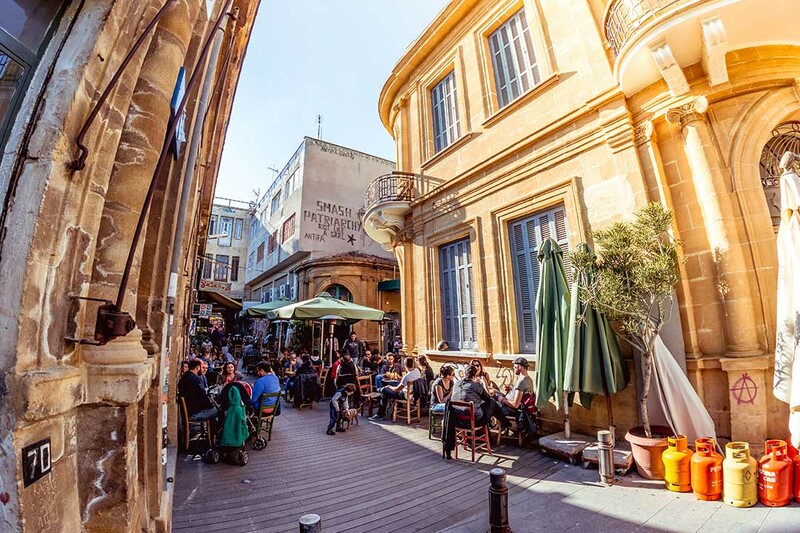 Today is the day to explore some more of Cyprus’ major cities and to also visit the “Green Line”, a dividing area between the Greek and Turkish halves of Cyprus. Limassol is a pretty, bustling, and lively harbour town where we’ll soak up the atmosphere and stroll along the cities promenade. In Nicosia, the world’s last divided capital, we’ll drive along the “Green Line” – a demilitarised UN border separating the north and south of the island. There are 7 crossing points on this line so travel between the north and south of Cyprus is accessible for all residents and visitors of the island. Nicosia, as well as being the capital of Cyprus, is full of vibrant street life, Venetian city walls and lots of unique shops, cafes and restaurants. Our third stop will be Larnaca, another of Cyprus’ port cities is well known for its palm tree lined sea front and a salt lake which fills with flamingos in the winter months. Here we’ll visit the Church of St Lazarus before travelling back to the hotel for the evening. This is your last chance to enjoy the warm weather before we depart for home. Relax by the pool, enjoy some cocktails, or alternatively head into Paphos for some last-minute souvenir shopping. Take the morning to check out, enjoy breakfast, and relax before our afternoon flight. We’ll land back in the UK early evening.